"This recipe was given to me by an Aunt that lives in Guaymas, a famous fishing town in the state of Sonora, Mexico. It is a great family favorite at BBQ's." 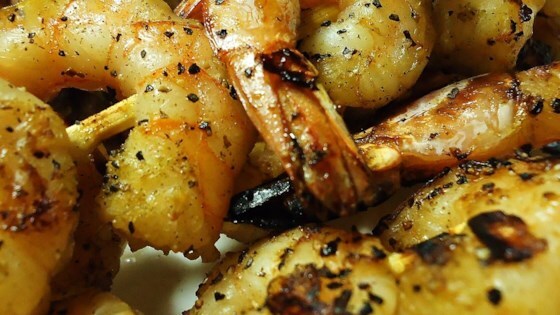 Grilling marinated shrimp makes a fast, flavorful main dish. Not impressed. A lot of work with little flavor. Just as good steamed. Added garlic salt to taste. I agree with the previous post, nothing to write home about.